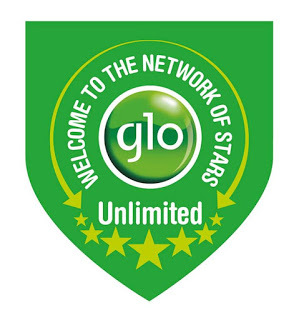 Glo decided to introduce a group of whooping data plans for all their customers to enjoy from. Although they were mute when other networks like MTN, Airtel, and Etisalat, were introducing massive and loaded data bundles, not knowing that Glo was to come out with the best data so far. And not only that, they made their own very cheap for all to get at an affordable price. But one thing about Glo network to some plàces is that, the network coverage for browsing is very poor. You might be experiencing this or may not. So whichever place you are and strongly receiving good signal, good for you. Now, let's get down to business of the day. But before then, Glo should try to do something to their Network signal in other not to loose their customers. With the newly introduced data bundles, one can browse the internet as long as he/she wants. 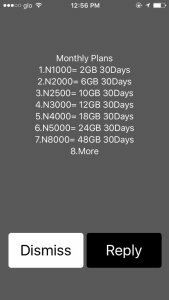 The made the price so cheap for the data(s), as you can get 2gb worth of data with only #1000 naira. For 6gb data, It goes for #2000 naira. The Data bundles did not end there, You can still get a whooping 10gb worth of data for just #2500 and many more which will be listed below. The validity of all the data bundles is 30 days (a month). Don't be confused at the loaded data bundles beacaus, you may want to go for 10gb and your mind will say no that 18gb is OK. And it will say no again, that's because the data(s) are so attractive, but at the end of the day, make sure you make one choice out of all. Don't just let your confusion make you not to choose anyone, lols. So the question now becomes, which one particular, is your choice? How Can I Subscribe For Any Of The Data Bundles? Very simple and easy, only recharge your Glo line with the exact amount for any of the data bundles. Then dial this USSD code *777# and reply with the listing numbers for any of the data bundles. That's it. WE LOVE COMMENTS. DO YOUR BEST TO LEAVE YOUR COMMENT ABOUT THIS POST BELOW.